Newswise, October 9, 2016— Heavy drinking can lead to neurophysiological and cognitive changes ranging from disrupted sleep to more serious neurotoxic effects. Aging can also contribute to cognitive decline. Several studies on the interaction of current heavy drinking and aging have had varied results. This study sought to elucidate the relations among age, heavy drinking, and neurocognitive function. Researchers had 66 participants (35 women, 31 men), recruited from the Brown University Center for AIDS Research, undergo a comprehensive neurocognitive battery of testing. 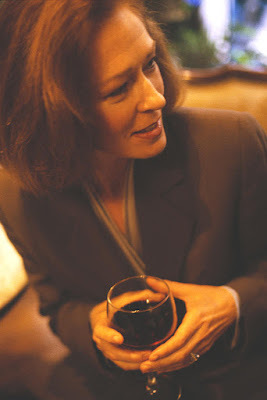 Current heavy drinkers (n=21) were classified using National Institute on Alcohol Abuse and Alcoholism criteria and structured clinical interviews and, further, were compared to non-drinkers and moderate drinkers (n=45). Results showed that current heavy drinking in older adults was associated with poorer global cognitive function, learning, memory, and motor function. Furthermore, a lifetime history of AD was associated with poorer function in the same neurocognitive domains, as well as the attention/executive domain, notwithstanding age. Newswise, October 9, 2016 — Trauma exposure has consistently been reported as a risk factor for alcohol use and related problems. Further, racial differences in alcohol use, alcohol use disorder (AUD), and trauma exposure between European American (EA) and African American (AA) women have been reported previously. This study sought to identify racial differences in alcohol involvement, and to examine the risk conferred by specific trauma exposures and PTSD for different stages of alcohol involvement in EA and AA women. Researchers examined data from the Missouri Adolescent Female Twins Study: the mean age of the 3,787 women at time of interview was 24.5 years; 85.4 percent were EA, 14.6 percent AA. Trauma exposures were defined as sexual abuse (SA), physical abuse (PA), witnessing another person being killed or injured, experiencing an accident, or experiencing a disaster. Trauma exposure was examined as a predictor of alcohol initiation, transition to the first AUD symptom, and transition to an AUD diagnosis – while also considering other substance involvement, parental characteristics, and commonly co-occurring psychiatric disorders. Results showed that trauma experiences were important contributors to all stages of alcohol involvement in EA women only, with different trauma types conferring risk for each stage of alcohol involvement. For example, in EA women SA was associated with alcohol initiation prior to the age of 14; PA predicted the transition from initiation to the first AUD symptom; and PA, witnessing injury or death, and SA predicted the transition to an AUD diagnosis. There were no such findings in AA women. Further, PTSD was not revealed as a significant predictor of AUD in either EA or AA women. The findings suggest that trauma, independent of PTSD, directly contributes to alcohol involvement. Further, they highlight the importance of considering racial differences when looking at linkages between traumatic experiences and alcohol involvement.